AWS experts will manage your account. 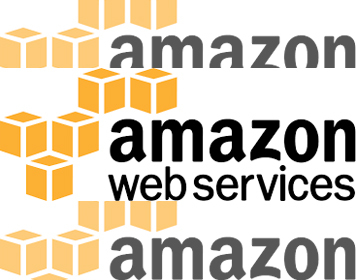 Do you have an amazon cloud account and you are struggling to manage the services? We offer a premium plan to manage your cloud account more efficiently by experts. If you are a small company or big and would like to relay on a trustable company, you are at the right place. We offer this exclusive service to maintain your amazon account. We take care of all services in your amazon account and mange it in proper way. If you manage your amazon account or your developers there is more chance that lot of unused services will be active and you are getting billed too. All could account should be managed properly to avoid any difficulties at later stage. Amazon Elastic Compute Cloud (Amazon EC2) is a web service that provides resizable compute capacity in the cloud. It is designed to make web-scale cloud computing easier for developers. Our experts will ensure that you are using the best instance type. In some cased you may be using a lower end instance and that may be giving you low performance. Or you may be using a large instance for small application and that will cause over expense. We will analyze the servers and update it as per the requirements. Elastic Load Balancing automatically distributes incoming application traffic across multiple Amazon EC2 instances in the cloud. It enables you to achieve greater levels of fault tolerance in your applications, seamlessly providing the required amount of load balancing capacity needed to distribute application traffic. If you are planning to go for a load balanced option we will configure it in the right way. Amazon Simple Storage Service (Amazon S3), provides developers and IT teams with secure, durable, highly-scalable object storage. Amazon S3 is easy to use, with a simple web service interface to store and retrieve any amount of data from anywhere on the web. With Amazon S3, you pay only for the storage you actually use. There is no minimum fee and no setup cost. Auto Scaling helps you maintain application availability and allows you to scale your Amazon EC2 capacity up or down automatically according to conditions you define. You can use Auto Scaling to help ensure that you are running your desired number of Amazon EC2 instances. Auto Scaling can also automatically increase the number of Amazon EC2 instances during demand spikes to maintain performance and decrease capacity during lulls to reduce costs. Auto Scaling is well suited both to applications that have stable demand patterns or that experience hourly, daily, or weekly variability in usage. Amazon Relational Database Service (Amazon RDS) makes it easy to set up, operate, and scale a relational database in the cloud. It provides cost-efficient and resizable capacity while managing time-consuming database administration tasks, freeing you up to focus on your applications and business. Amazon RDS provides you six familiar database engines to choose from, including Amazon Aurora, Oracle, Microsoft SQL Server, PostgreSQL, MySQL and MariaDB.